If there was any doubting how good the Milwaukee Bucks can be, the NBA’s top seed erased it on Sunday. Milwaukee had no problem dispatching the Pistons, who were without All-Star forward Blake Griffin (left knee) and lost Andre Drummond midway through the game after he was ejected. Worse yet, Griffin made it into the box score by earning a technical foul from the bench while wearing a suit. Antetokounmpo eventually led all players with 24 points and 17 rebounds, but he didn't even need to return after checking out with three minutes left in the third. The Bucks spread the wealth around with seven players in double digits, their most in a playoff game in the last 20 seasons . 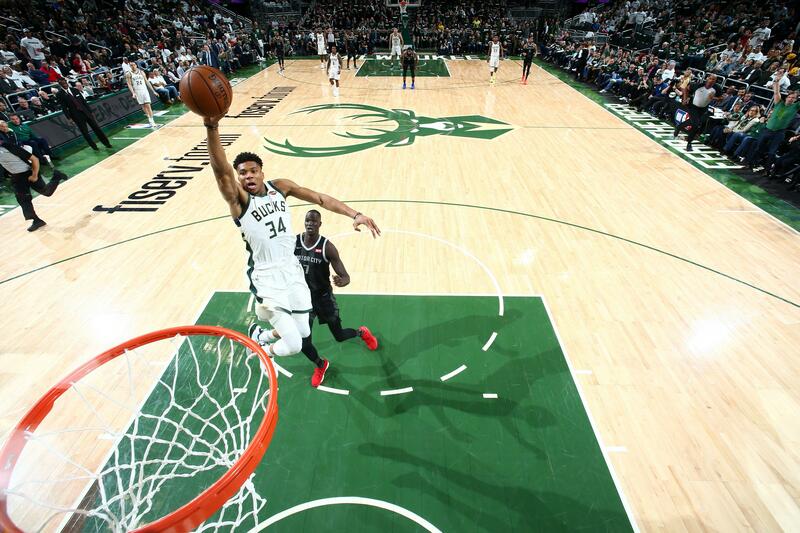 It was quite the dominating performance, although the rest of the league should fear how much better they could play with Giannis activating playoff mode for nearly 40 minutes a game.